Two workshop series entitled ‘Strategic Open Social Innovation in Action in the St Sebastian City Ecosystem’ took place in St Sebastian by gathering key agents that have been working over the last years intensively in the field of social innovation in the Basque Country. The Workshop aimed to foster strategic cooperation among the participants on-wards. This project is an initiative of Fomento San Sebastian (St Sebastian City Council – Economic Promotion Department). 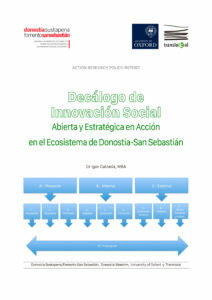 As a result of the workshop and wrapping up the strategic content in the social innovation field that Fomento San Sebastian has been developing so far, the following publication will be officially launch : Decálogo de Innovación Social Abierta y Estratégica en Acción en el Ecosistema de Donostia-San Sebastián. In the Basque Country, since 2007 there has been a conscious social innovation strategy by influencing prosperity-driven policies fueled by the Basque Government and specially coordinated by the Basque Innovation Agency, Innobasque. Nevertheless, despite the intense activity carried out by agents in this area, social innovation is not yet at the centre of institutional policies and organisational priorities of key agents in our midst. In addition, there are many other agents working in this field but also giving the impression (right or wrong) that they do so in a rather unconcious manner, thus resulting in a subsequent loss of impact of the social capital on the organisational network and on the territory as a whole. And this does not take into account the waste of know-how and of the possible interactions that may exist between the agents themselves. In conclusion, far from placing the emphasis on the institutional support programmes which, although necessary, should not be an end in themselves, these workshop series invited agents who are already active in social innovation within our surrounding area, to reach a common strategy in relation to the specific actions and projects that are currently being developed. These workshop series aimed to be a common and strategic meeting place, to reflect on the activity of social innovation in our territory, identifying the determining factors that may present drawbacks and also the possible strategies that strengthen the sector as well as each of the agents. In 2016, these knowledge exchange activities will continue by holding three workshop series as follows: 26th May, October and December 2016. Calzada, I. 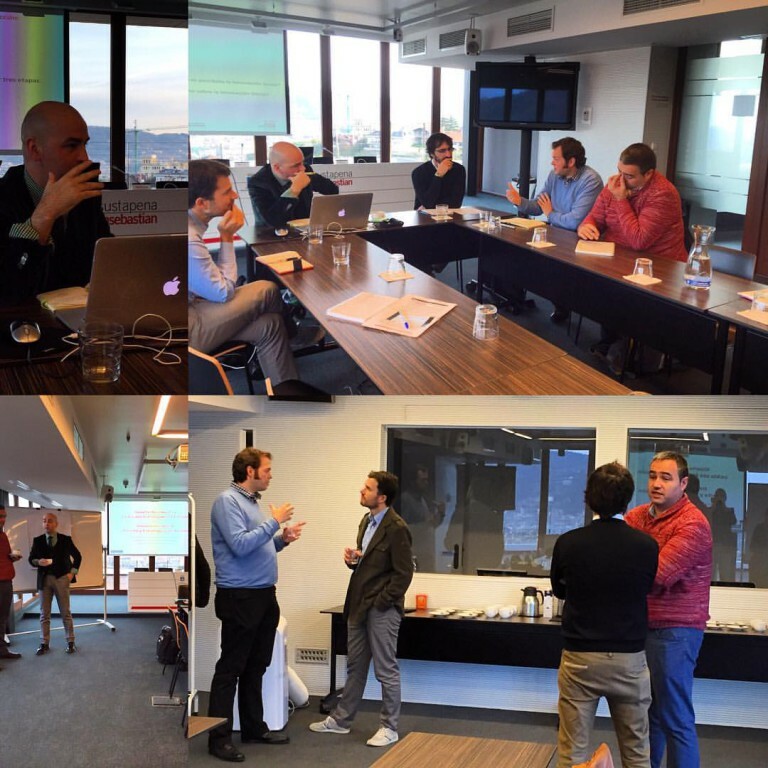 (2016), Decálogo de Innovación Social Abierta y Estratégica en Acción en el Ecosistema de Donostia-San Sebastián, Translokal – Academic Entrepreneurship for Policy Making in collaboration with Fomento San Sebastián / Donostiako Sustapena. Donostia-St. Sebastian (Basque Country – Spain) on 26th October 2015. ISBN: 978-84-942752-8-9.